It’s been said before that the next major version of Apple’s mobile operating system will be a Snow Leopard style upgrade in that it won’t focus as much on new features as it would on optimizing code base for stability, performance and quality. In a new report, 9to5Mac details what lies ahead for both iOS 9 and OS X 10.11, not just in terms of speed and stability, but also regarding both operating systems’ stronger security and a few new end-user facing features. Multiple sources familiar with Apple’s development plans told author Mark Gurman that both iOS 9 codenamed “Monarch” and OS X 10.11 codenamed “Gala” will limit new feature additions in favor of a “big focus on quality”. 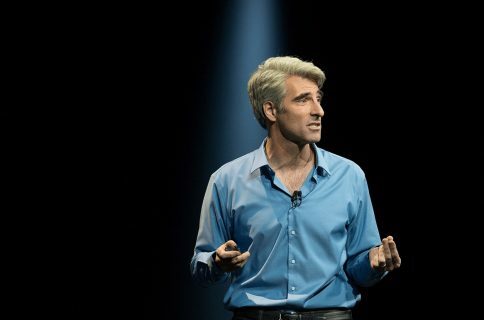 “Apple directors reportedly opposed a complete pause on new features, but agreed to focus on quality assurance by holding back some features that were initially planned for the latest operating system launches,” reads the article. For starters, iOS 9 should make legacy iPhones and iPads such as the iPhone 4s run more efficiently and smoothly than prior iOS editions. 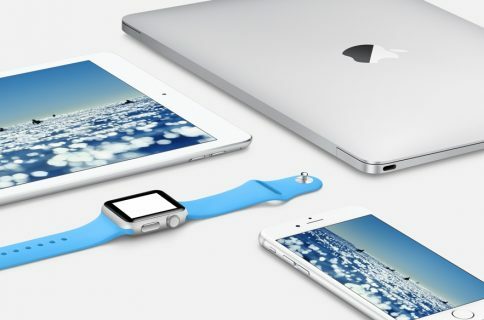 Apparently, iOS 9 will target older iPhone, iPod touch and iPad devices powered by Apple’s A5 processor, which includes the original iPad mini and the discontinued iPhone 4s. Rather than remove features that don’t run well on older devices, like previous iOS versions, Apple is said to be focused on engineering a core version of iOS 9 that runs efficiently on older A5 devices, and then adding features. And thanks to a major upgrade to Apple’s Swift programming language which will not come with iOS code libraries, App Store applications written in Swift should require less space to download and install. “Apple currently plans to convert its own apps over to Swift in 2016 via iOS 10 and OS X 10.12, unless unforeseen roadblocks emerge over the next year,” the author wrote. 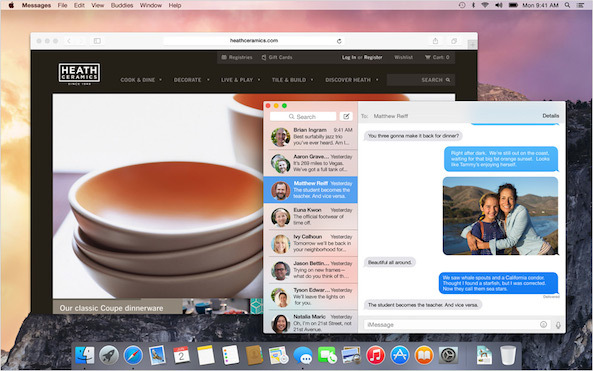 The stripped-down list of new features in OS X 10.11 reportedly includes additional system-wide interface tweaks and Control Center similar to that on iOS. Control Center for Mac reportedly moves many of the controls from the Mac’s menu bar to a pane that slides out from the left side of the screen. “We are told that Apple has realized that annually adding new features to the mature Mac operating system is more challenging than with iOS, so 10.11’s upgrade list may be slimmer than iOS 9’s,” as per the article. A few security enhancement in OS X 10.11 include re-architected stock apps with iCloud Drive file encryption, a major new initiative called Rootless and a new feature called Trusted Wi-Fi. Billed as a kernel-level feature for both OS X and iOS, Rootless will prevent malware, increase the safety of extensions and preserve the security of sensitive data. 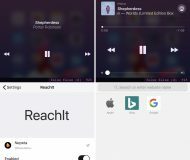 “Sources say that Rootless will be a heavy blow to the jailbreak community on iOS, though it can supposedly be disabled on OS X,” adds the article. iCloud Drive improvements will include stronger end-to-end encryption and faster syncing than traditional IMAP servers. While Apple’s stock apps like Notes, Reminders and Calendar currently rely on an IMAP-based backend for content syncing, iOS 9 and OS X 10.11 will put up a splash page offering a user to move content from the IMAP server over to iCloud Drive. The firm is said to be in the process of upgrading the iCloud Drive and CloudKit servers to sustain the expected surge in usage when more core applications move to a pure iCloud foundation. “A dedicated iCloud Drive app to view files has also been developed, but it may remain for internal use only,” Gurman said. Lastly, the Trusted Wi-Fi feature should let Mac and iOS devices connect to authorized wireless routers without additional security measures. The way it’s supposed to work, iOS 9 and OS X 10.11 should initiate “a more heavily encrypted wireless connection” for non-trusted routers. “Apple’s broader and deeper quality assurance testing includes stricter stability and polish guarantees before new features are officially added to iOS 9 and OS X 10.11,” said Gurman. It was reported yesterday that the Apple Watch’s San Francisco font would make its way into OS X 10.11. Apple is also reportedly readying an improved Apple Maps service with built-in transit directions, indoor maps and a trip-planning feature. In addition, iOS 9 should gain a new ‘Home’ application for controlling HomeKit-certified smart devices for the connected home, while introducing support for multiple user accounts and better multitasking with split-screen views on iPads. Would you rather Apple added more user-facing features or paused on innovation in order to create a more stable iOS and OS X?